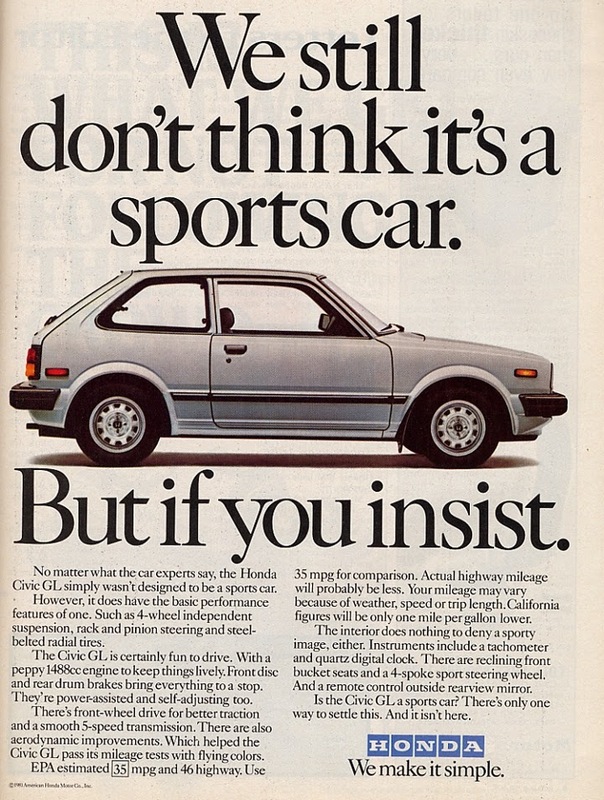 It may have never been envisioned as a sports car, but if Honda had only known what it had created... What their little grocery getter would do to the industry. Everyone knows I am a die-hard Nissan fan. Just look at the site... but respect is given where it is due. And for that, Honda Civic, eXite salutes you. Happy TBT everybody.